The eSquared Asphalt Maintenance team provides unbeatable service completed by trained professionals that doesn’t dent your wallet. Our technicians guide you and discuss all of your choices clearly and thoroughly to provide the best outcome and benefits for your home or business. No matter if you need a new decorative patio or you’re looking for commercial concrete striping, our Lorena, TX experts are ready to help. Call 254-716-8685 to speak with our representatives today. 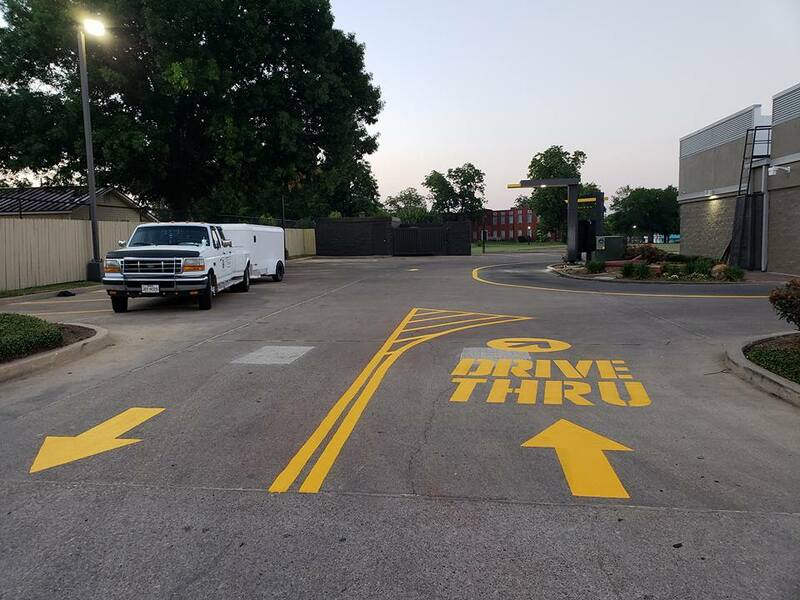 In an effort to provide only high quality concrete striping in Lorena, TX, our professionals are kept abreast on all local and state codes. Our experts provide advice on the most beneficial and durable products for your job, and apply a uniform paint job that’s smooth and long-lasting. Our specialists are knowledgeable in code enforcement procedures by entities such as the EPA and the ADA, and we provide advice and process information so that you can ensure your business is always in compliance. Handicap Striping Our experts provide knowledgeable, handicap striping to ensure you are ADA code compliant. Handicap Logo Painting For quick handicap logo painting that seals cracks, peeling, and fading, contact our experts to help. Road Striping Our experts are trained in every kind of temporary and permanent road striping for expert service, every time. Warehouse Striping When you need reliable warehouse lining that won’t interrupt business, call our professionals for complete service and minimal interruption. 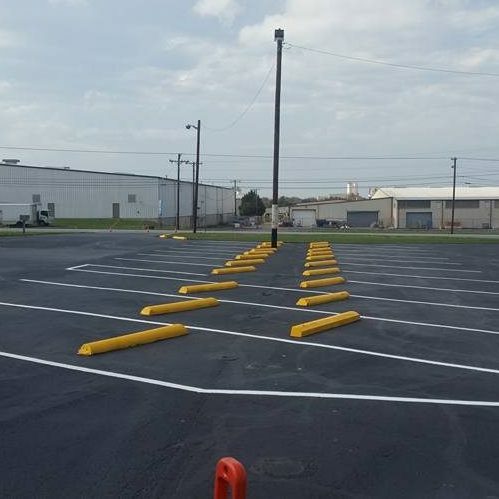 Reflective Parking Lot Paint Learn the advantages of using reflective paint on your parking lot, and if it fits your business’ needs. Our technicians can provide pressure washing services for every type of surface, including wood and vinyl. Our experts can get rid of all dirt, grime, and even paint from your surface without damaging the under layer. We can restore and revitalize your wood and vinyl materials, eliminating mildew and mold, and increasing its longevity and durability. For skilled and experienced commercial or residential pressure washing in Lorena, TX, call the team you can depend on. Contact 254-716-8685 to find out more about our pressure washing services and benefits. Code Compliant Pressure Washing Don’t fall victim to non-compliant pressure washing practices. Our professional team observes and follows all EPA guidelines. Driveway Pressure Washing Re-energize your driveway while removing debris that can cause early degradation with our driveway service. Mold, Mildew, and Dirt Removal Find out how our professionals completely remove mold, mildew, and algae from your exterior walls and surfaces. Restaurant Pressure Washing Stay health and safety compliant with our complete restaurant pressure washing service. Concrete Stain and Gum Removal Put your best foot forward with your patrons using our parking lot and sidewalk stain and gum elimination service. Our professionals also provide expert installation, repair, and maintenance of walkways, patios, fence columns, and even retaining walls. Our professional concrete specialists can create almost any look and texture by utilizing artistic touches like hand decoration, stamping, and overlays to create a perfectly customized look for your project. The eSquared Asphalt Maintenance cleaning and protective concrete services afford your constructs with protection from UV rays, weather, and water that can lead to premature degradation. For workmanship that lasts, call the eSquared Asphalt Maintenance team members when you need concrete services in Lorena, TX. Concrete Walkway Installation Create depth and dimension within your yard with a walkway that lasts for years. Concrete Bordering and Curbing Discover how customized concrete borders can offer beauty and elegance while eliminating washout and soil erosion. Concrete Patio Pour & Install Service Create a beautiful outdoor gathering space for your family with our concrete patio installation. Specialty & Decorative Concrete Company Learn how our technicians can deliver a completely customized style for your outdoor space that lasts and lasts. Concrete Waterproofing Service Protect your concrete from water damage that causes premature aging with a waterproof coating. On top of the pressure washing and concrete installation and lining services we offer, we also offer additional services. Our company is recognized for our asphalt and concrete surfaces, but we also provide gutter construction clean up, gutter cleaning, and window washing services. If you are having construction done on a commercial property and need construction clean up or you home’s gutters need cleaning, please call us today at 254-716-8685! For any client that needs additional services and concrete striping in Lorena, TX, we are here to help. Roof Gutter Clean Out Service When your home or commercial property needs gutter cleaning, call us today! Through diligent work practices, our professionals are able to provide only the highest quality materials and workmanship available. Our seasoned professionals can complete any concrete or asphalt work your home or business requires, including experienced parking lot maintenance, throughout Lorena, TX. When you’re looking for certified concrete professionals you can count on, call the eSquared Asphalt Maintenance team at 254-716-8685 and set up your consultation now.